1 Get in shape in time for Beach Babe weather! 2 Increase savings in Vacation fund! 3 Take out the new 2016 calendar and schedule a beach trip! You will have something to look forward to during the cold winter that includes Sun, Sand and the great outdoors! 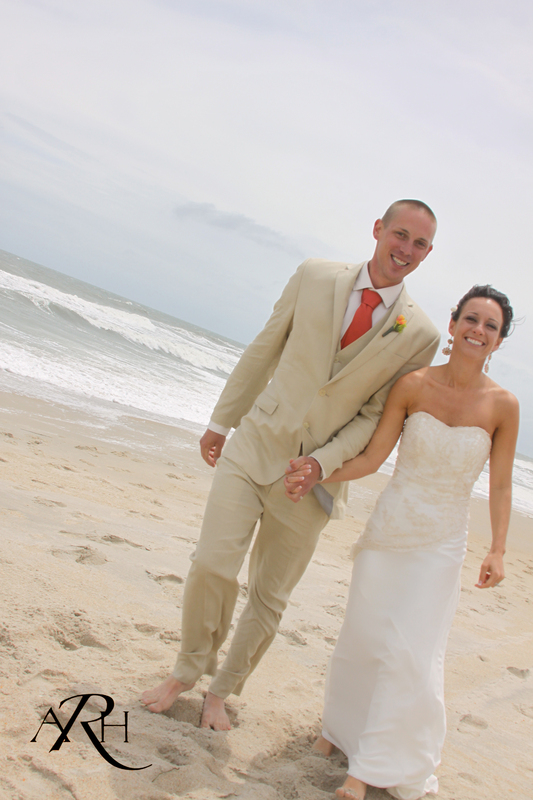 Welcome to my Blog as the Carolina Beach Babe! This Blog is designed to be fun and informative for you, the Beach Lover. From where to stay to where to eat and all the fun things there is to do and see here at Carolina Beach, I offer your Locals insider guide to the Carolina Beach Area, Kure Beach and Fort Fisher, known as Pleasure Island. Your suggestions and input is welcomed. Primrose Cottage in Carolina Beach is a charming and fun consignment shop where visitors are delighted by the large and well displayed unique items at very reasonable prices. Primrose Cottage is located at 1018 N Lake Park Blvd, Suite 5, Carolina Beach, NC 28428 on Pleasure Island, just 16 miles east of Wilmington in North Carolina. This beautiful small Island town is the perfect place to find hidden treasures and where Consignment Shopping is considered a sport! Owners Sue Walker and her daughter Jill Lyons will greet you with real Southern Hospitality every time you visit. Sue remembers each customer, their stories and life events – she has a welcoming spirit and greets everyone with a smile and hello. Sue was a nurse before she started helping a friend in her resale shop more than 10 years ago. Sue had rented a booth from her friend for a while and was successful and soon discovered a new passion. After spending a week on vacation in Fort Fisher she fell in love with Pleasure Island, where in 2006 she opened her own consignment shop in Carolina Beach in the Maxway Plaza. Sue’s daughter Jill is the creative one. 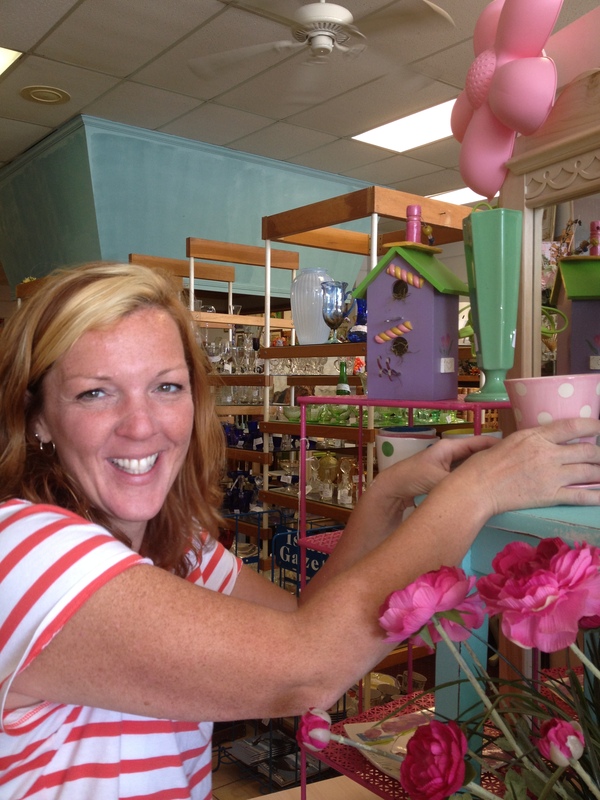 Jill previously worked for a commercial florist and has a flair for presentation and she stages the store to make it appealing and fun to explore. Beach visitors say that this is the first stop every time they return to Pleasure Island. Tell Sue and Jill what you are looking for and you will be treated to some authentic Southern Hospitality and the best bargains on the Island. Primrose Cottage is a true locals shopping secret. 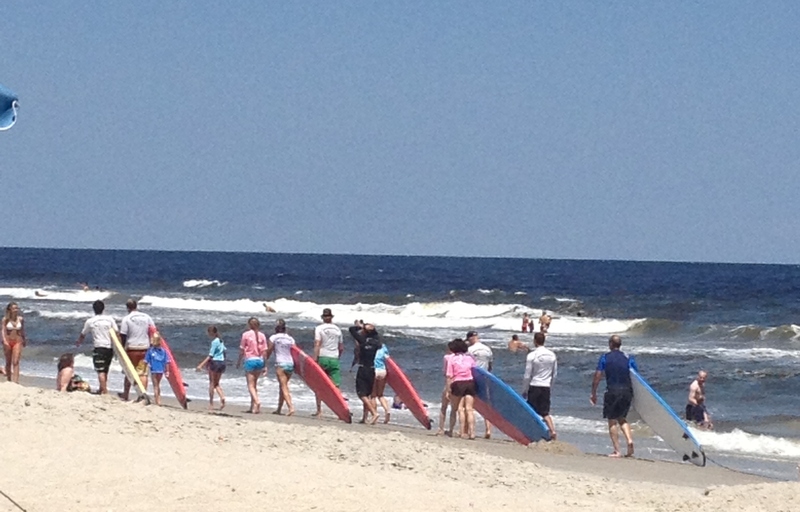 The very first step to Surfing in Carolina Beach is to take a few lessons from a professional. Below are links to visit and discover if you would like private lessons, family lessons or a Group Surfing lessons. Make some phone calls and visit their website to answer your questions regarding times and costs. Professional Surfer, Tony Silvagni, is the proud owner of the Tony Silvagni Surf School. Tony has been devotedly competing worldwide for over eighteen years. His most recent accomplishments include 2013 5th place finish overall on the World Longboard Tour, 2011 ISA World Longboard Champion, Gold Medalist for the USA surf team, 2011 Association of Surfing Professional of North America Longboard Champion, 2011 ASP Japan Pro Longboard Champion, & 6th in the World on the ASP World Longboard Tour. Tony has qualified for the world tour for the five consecutive years through the ASP North America (Association of Surfing Professional) ratings and through the World tour ratings for professional longboard. In 2009 he placed 24th overall in the world, and won the individual bronze medal at the ISA World Games in Costa Rica. Tony has been a professional surf coach for 10 years and has been instructing others in surf technique and ocean safety since 2003. Tony has always strived to serve as a good role model and positive example to those around him. His infectious energy and positive personality make him an exceptional advocate for the sport of surfing. Tony is available to teach private surf lessons, group surf lessons, Surf Camps, Stand-up Paddleboarding Tours, Advanced Surf Coaching and Technique. Tony also coordinates surf birthday parties. What is it about Surfing that makes a sensible person crazy for an Ocean ride on a wave? Why is this sport so contagious? How does the love affair begin? This Summer, James is serving our country in Kosovo. We miss him at the Beach! A great location for your Beach Wedding. Fun Simple and Beautiful!